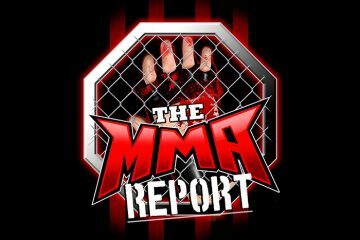 This week on The MMA Report Podcast, Jason and Daniel get your ready for this week’s Bellator 204 and PFL 6. 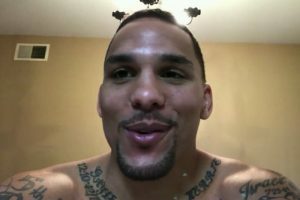 Plus, Jason has interviews with Eryk Anders, Jon Tuck and Johnny Eblen. The guys get the show kicked off by getting your prepared for Friday’s Bellator 204, which will be headlined by bantamweight champion Darrion Caldwell returning to the featherweight division as he takes on Noad Lahat. 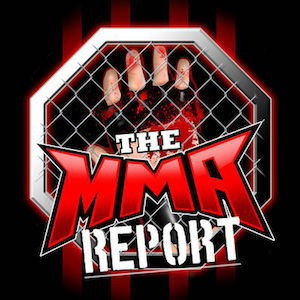 Now before they start previewing this matchup, the guys have a debate on where Caldwell ranks in terms of top fighters in Bellator and whether a victory over Lahat could score him a title shot against Patricio Pitbull. 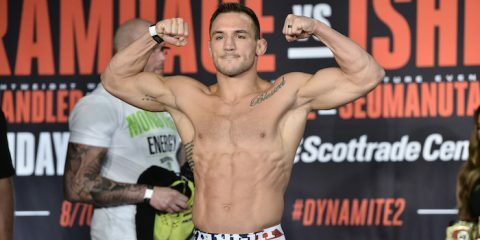 After previewing the rest of the Bellator 204 lineup, they turn their attention over to Thursday’s PFL 6. Some of the topics related to previewing this event include how a majority of the name value on this card is on the preliminary card and why Kayla Harrison is likely the reason people will be tuning in on Thursday night on NBCSN. And speaking of PFL, Jason and Daniel tell you what their initial thoughts were when they heard the PFL raised $28 million from new investors which included comedian Kevin Hart. Following the PFL 6 preview, Jason and Daniel tell you their top ten MMA fights that are scheduled to take place between now and the end of next month. They both go down their top ten list, tell you why the like the fights they mention, and tell you what fights just missed out on making their list. Then it’s on to the interview portion of the podcast as you will hear Jason’s recent conversation with Anders, Tuck and Eblen. Anders previews his matchup next Saturday at UFC Fight Night 135 against Tim Williams, Tuck talks about his fight against Drew Dober on next Saturday’s UFC card in Nebraska and Eblen talks about his young career heading into his main event fight at Saturday’s Shamrock FC 308. Upon the conclusion of the interviews, Jason and Daniel answer listener submitted questions and have the weekly Buy/Sell segment. This week’s listener questions are related to a change to the editoral team at MMA Junkie, Tom Lawlor being released by the UFC and the contract status with multiple Bellator fighters. Then in the Buy/Sell segment, the guys Buy/Sell on four different MMA topics including if the guys are buying that Eddie Alvarez’s next fight will be in the UFC. If you have a question for next week’s podcast, send a tweet to Jason and it will be mentioned on next week’s show.